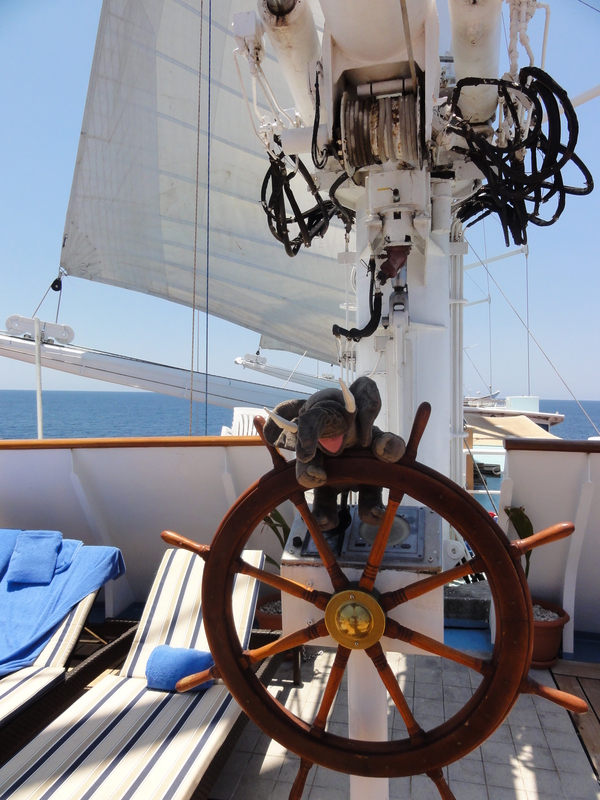 Centennial, CO. Professional Travel Planner, Judy Duran, and her partner, Trypp the Traveling Elephant, recently returned from a week-long cruise aboard the sailing yacht, Wind Star. 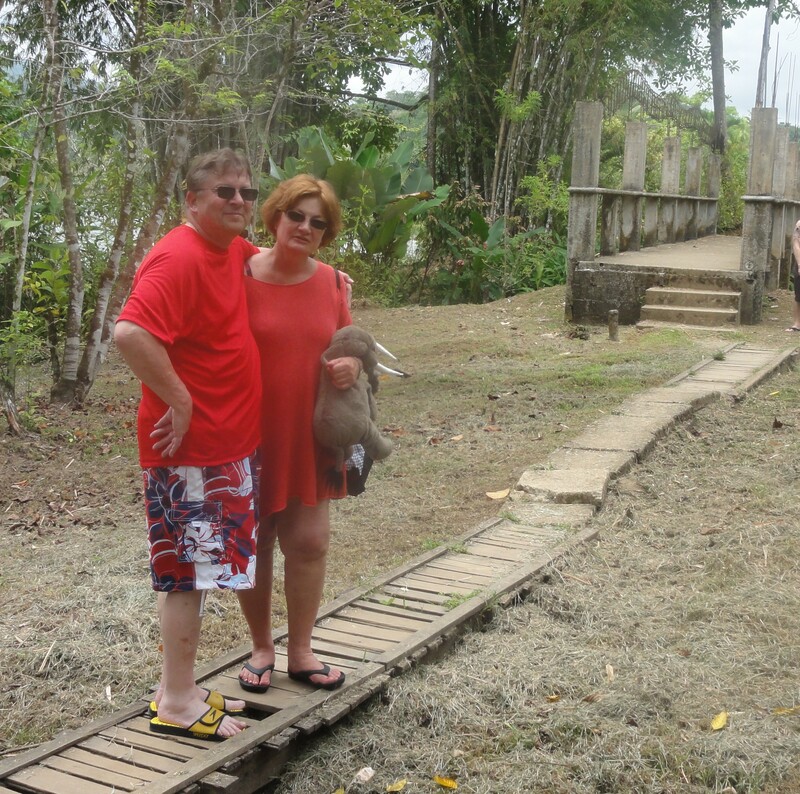 They report they both enjoyed very different, yet equally delightful, cruise experiences while sailing along the Pacific coast of Costa Rica and Nicaragua. 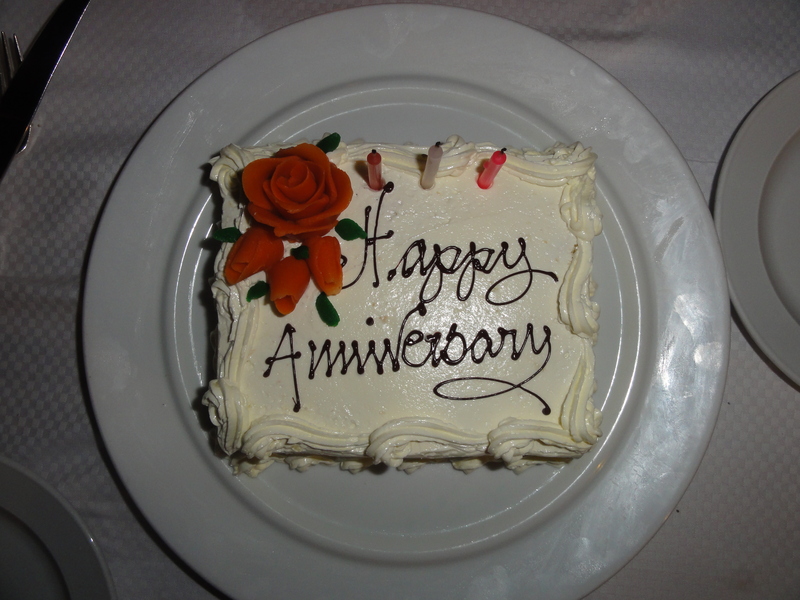 “I was sailing with my husband, Pat, to celebrate our 40th anniversary. Trypp was along to take some of the reporting off my hands so Pat and I could enjoy this special time together,” says Duran. 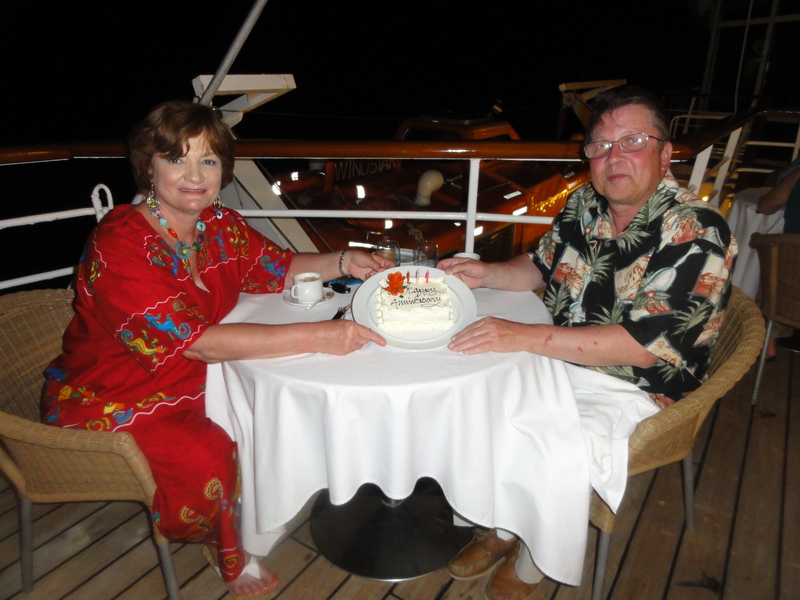 “When we embarked in Puerto Caldera, the ship’s hotel manager, Jeffrey, welcomed us by saying that we should regard the ship as our own personal yacht for the next 7 days. 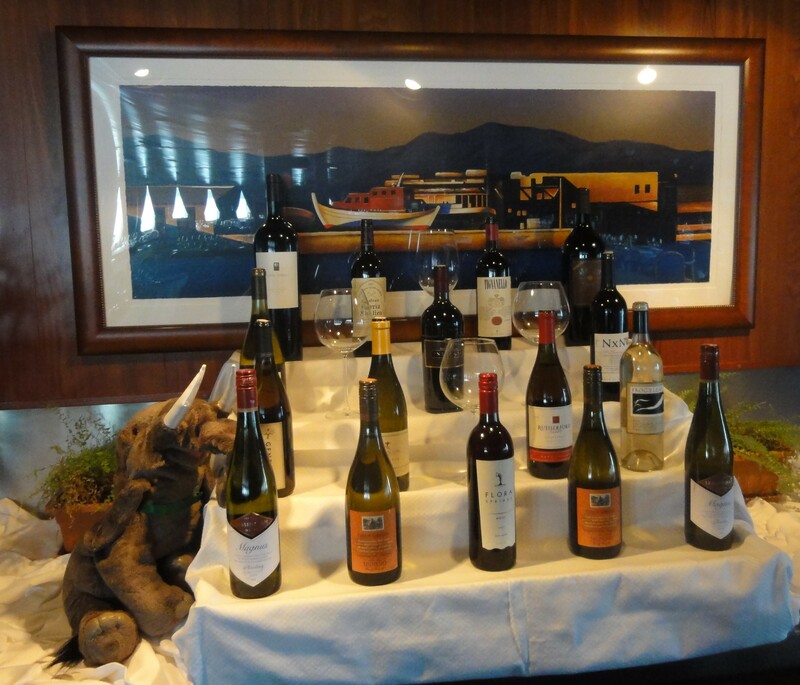 The staff and crew of the Wind Star certainly allowed all three of us to do just that in very different ways,” she adds. “The first night’s briefing was particularly delightful,” says Duran. “The Wind Star’s Captain greeted each passenger individually as we arrived at the yacht’s lounge.” During the briefing he introduced all the officers and crew managers and gave a short bio on each. The ship’s officers are British; the department managers mostly from the U.S.; the kitchen staff Filipino; and the crew Indonesian. Captain Chris Norman explained some of the fundamental details of managing and sailing the Wind Star and the ship’s history. The Wind Star, built in Le Havre, France, was launched in 1986. It was a revolutionary in concept and design with its sleek design and computerized controls. It is officially registered as a “masted-sail yacht” (MSY) in the Bahamas. The first morning both the Duran’s and Trypp attended a presentation by the Wind Star’s naturalist, Carlos, on the ports-of-call and Costa Rica’s natural history and biodiversity. 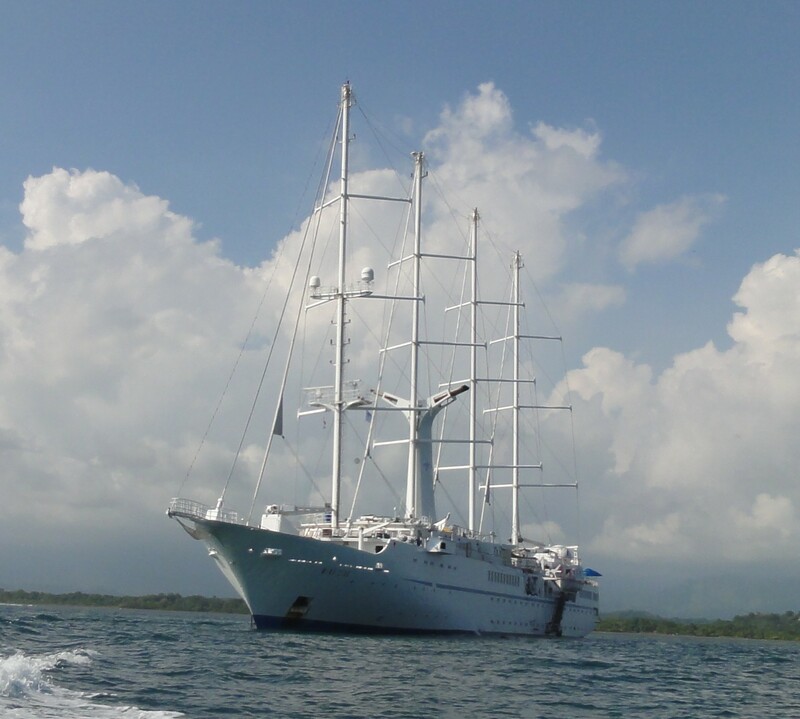 Carlos, a native of San Juan, only sails with the Wind Star on its Costa Rica itineraries. 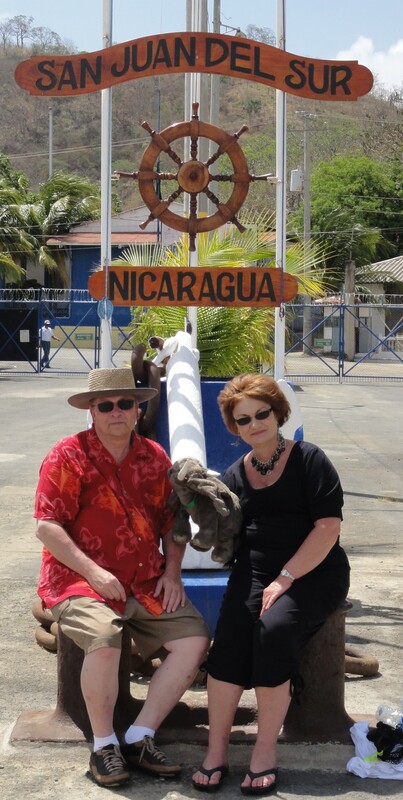 He was on-hand at every port-of-call to answer passenger questions and offer touring tips. 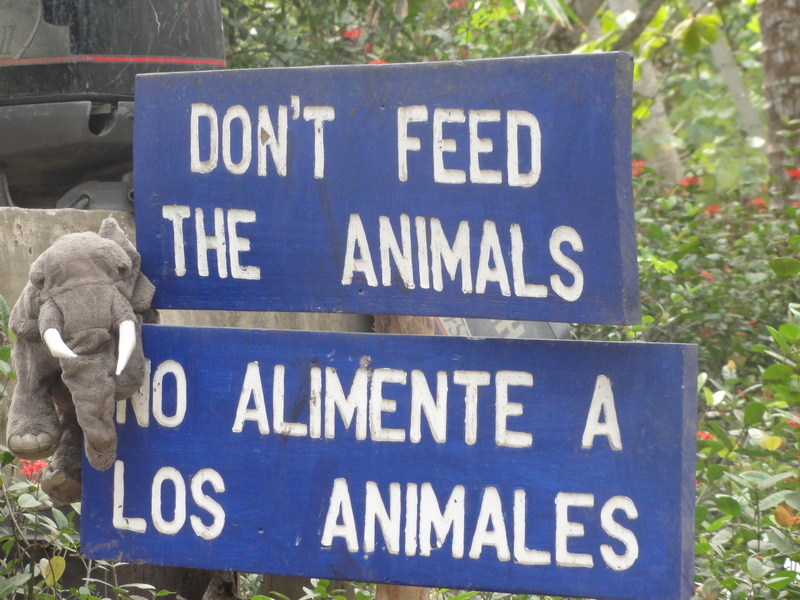 At other times Carlos was available to give advice on further touring within Costa Rica. 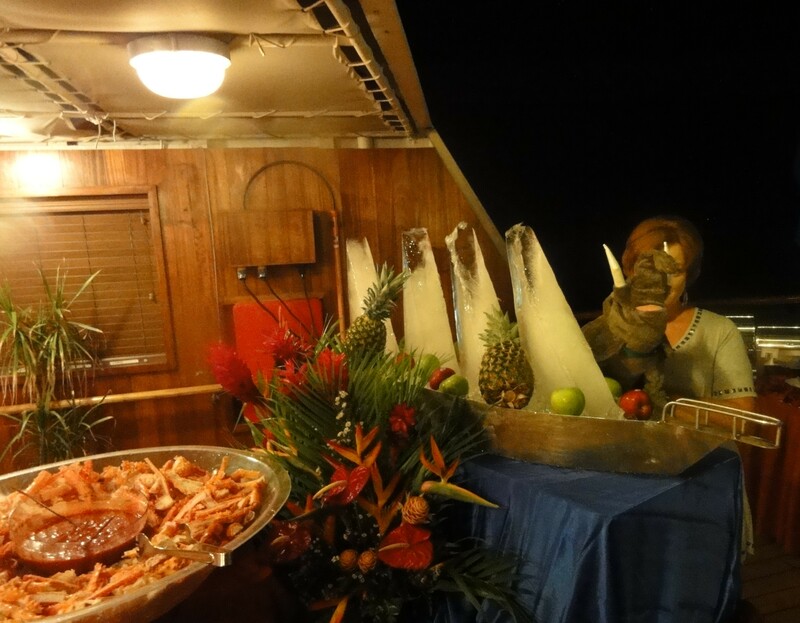 Other activities the Duran’s and elephant enjoyed together were the post-dinner sing-alongs and dancing in the lounge with the very talented Buddy, the ship’s pianist; afternoon snacks on the pool deck with entertainment also by Buddy; the local entertainment brought aboard during the cocktail hour in the ports of San Juan del Sur and Quepos; the photo op on the yacht’s bowsprit with First Officer Georgina; the barbeque on the beach at Tortuga Island; kayaking at Bahia Drake off the ship’s watersports platform; a hike through the Curu Reserve; and the “incomparable and sumptuous” open-air buffet dinner on the fourth night. “Likewise, the Duran’s gave me space to let loose my wilder nature so that I didn’t feel like an intruder during this special time for Judy and Pat,” adds Trypp. 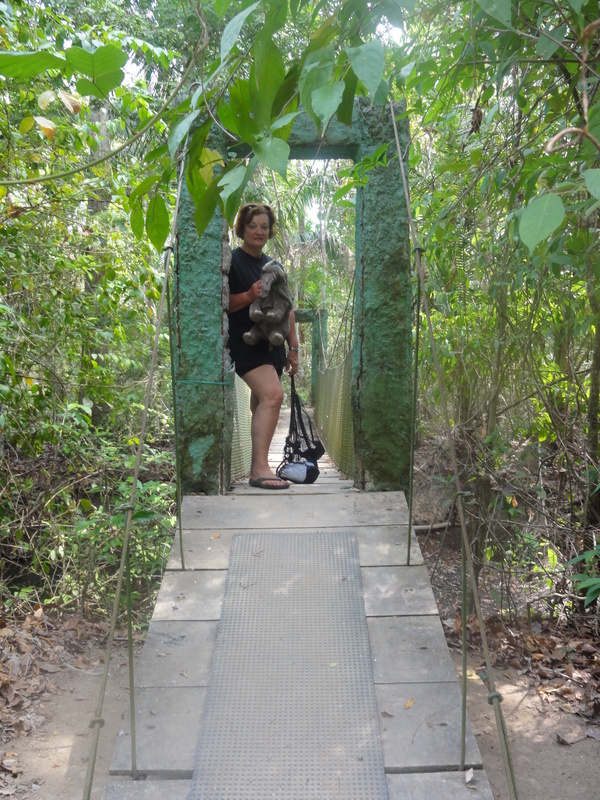 Trypp started each morning with the Walk-A-Mile on Water group, followed by a Pilates class. 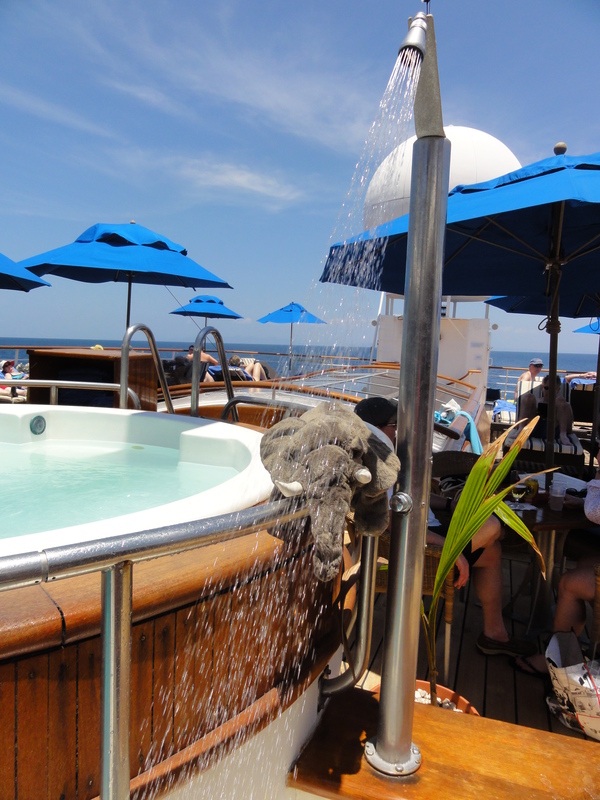 The first day at sea, she attended the Discover SCUBA class in the ship’s pool, followed by a SCUBA briefing on the three dive opportunities offered during the cruise. 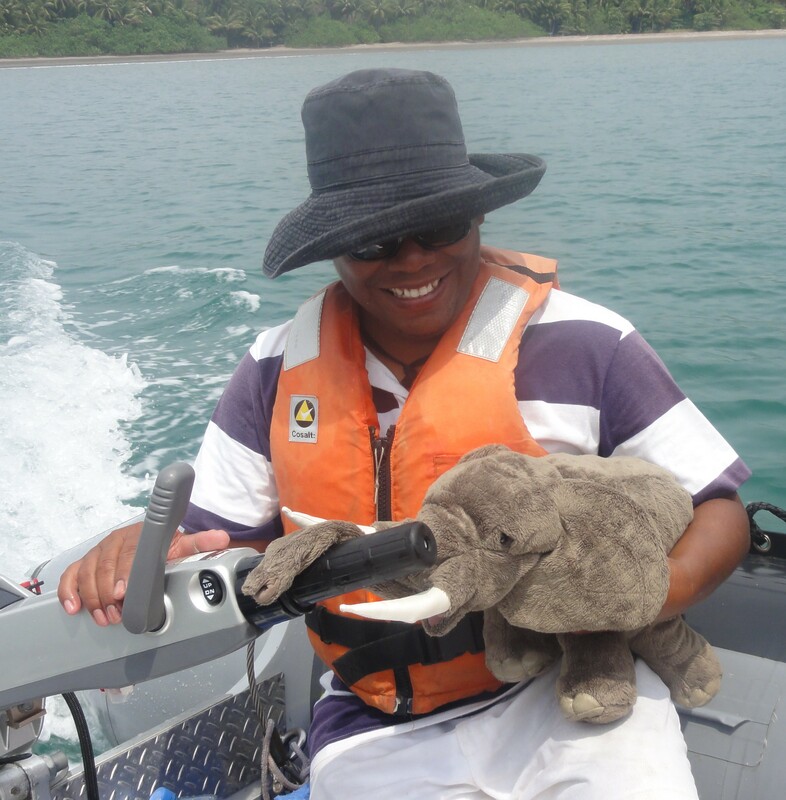 Duran noted she passed on several activities on the yacht, such as the spa services and casino, but the elephant might have tried them. 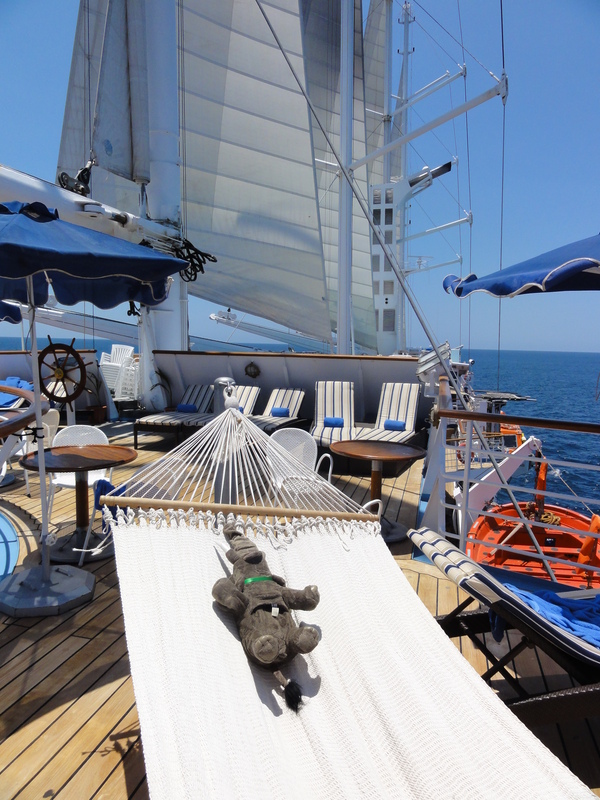 Trypp sunning in hammock cooling off on pool deck; taking the helm. . .
. . . Inspecting wine selection in Main Dining room; enjoying a cocktail at bar in Lounge; at open-air buffet on Pool Deck. . .
“You don’t want to know!” says Trypp. Duran reports that they’d usually be up on the pool deck by 5 a.m. to enjoy watching the sun rise over the water. At 6 a.m., coffee, juice, fruit, pastries, cold cuts, cheeses, cereals and yogurt were served on the pool deck. After a small repast, the Duran’s would return to their cabin to get ready for the day’s activities, then return to the Veranda restaurant on the pool deck for a choice of a full buffet breakfast or one made-to-order from the menu. 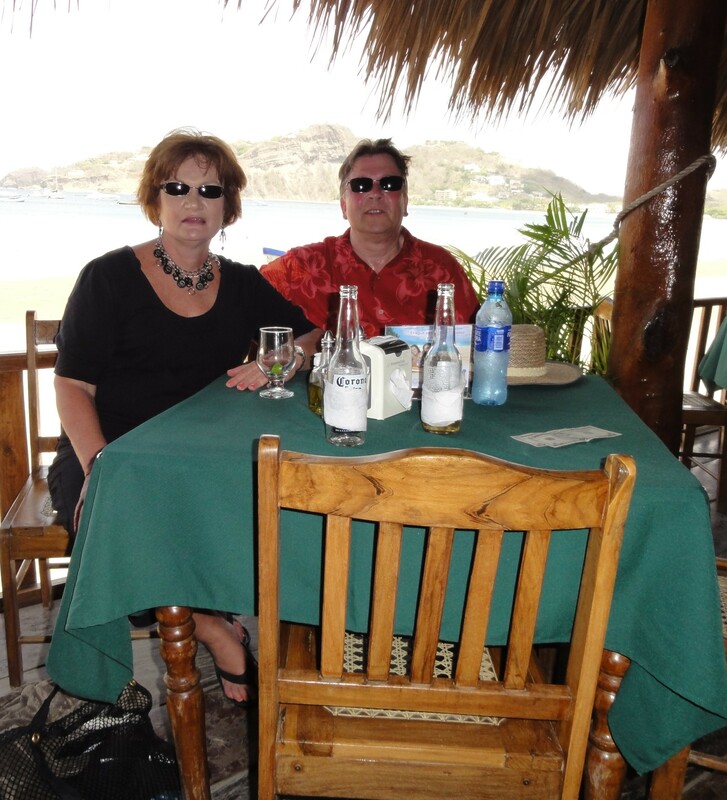 Port of San Juan del Sur, NI; beachfront bar at San Juan del Sur; colorful market outside Manuel Antionio National Park, Quepos, CR. . .
. . . anniversary dinner on Pool Decek; anniversary cake. Their afternoons started with a buffet lunch at the Veranda restaurant on the pool deck. Afterwards, they’d return to their “very comfortable” state room for “some serious chilling,” says Duran. 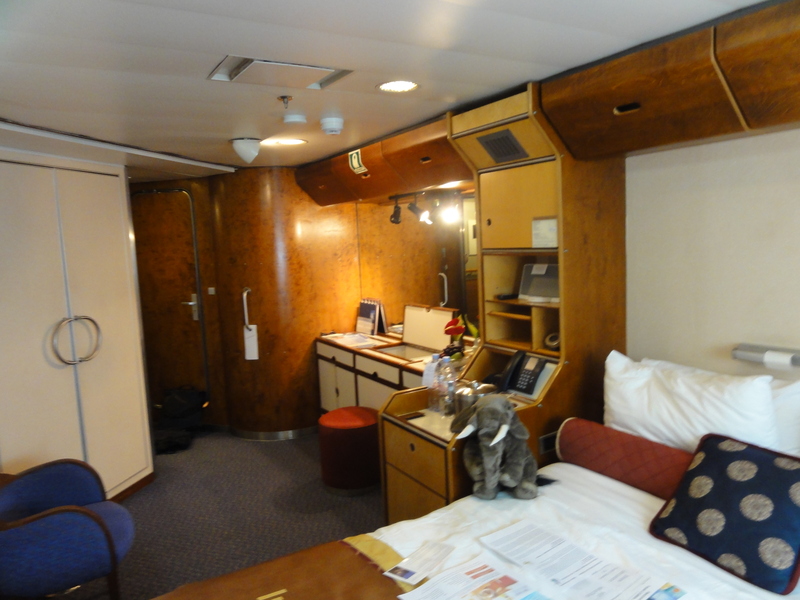 “The staterooms were surprisingly large and well-appointed for such a small vessel.” They would check out a DVD from the Wind Star’s extensive selection in the yacht’s library or watch a movie on satellite TV on the cabin’s flat-screen TV. After meeting Trypp on the pool deck to compare notes over the afternoon snack of fruit, cheeses, cold cuts and salads, they’d return to their stateroom for to prepare for the evenings activities, starting with Sam’s briefing over cocktails in the lounge. “You don’t want to know!” says Duran. 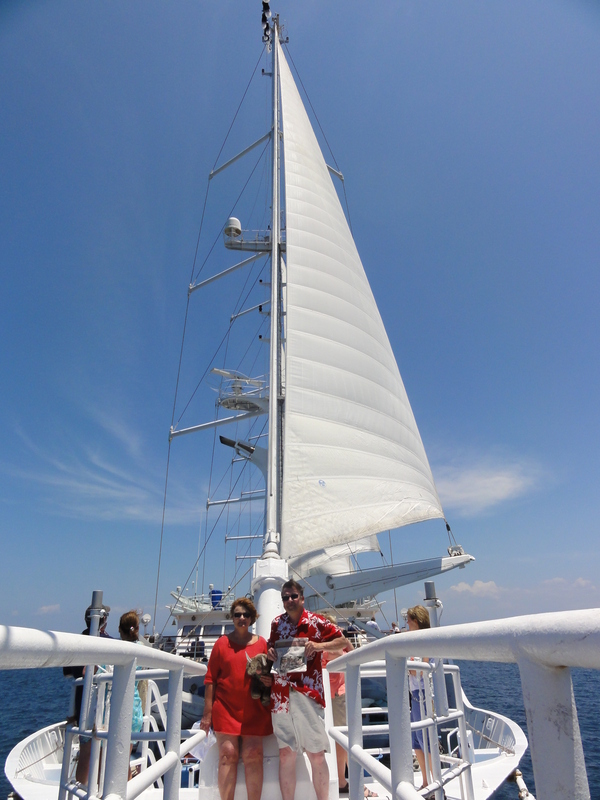 Both Durans and Trypp agree that the dive and snorkeling experience aboard the Wind Start were exceptional. “Most other cruise lines subcontract diving and snorkeling to shore excursion operators who often crowd their dive boats, charge a hefty extra fee and just drop a bunch of people into the water with little direction in the same areas that other operators use,” says Trypp. All watersports activities offered by the Wind Star are led by the yacht’s very capable sports coordinators, Carin and Ridlon. The number of participants is limited. 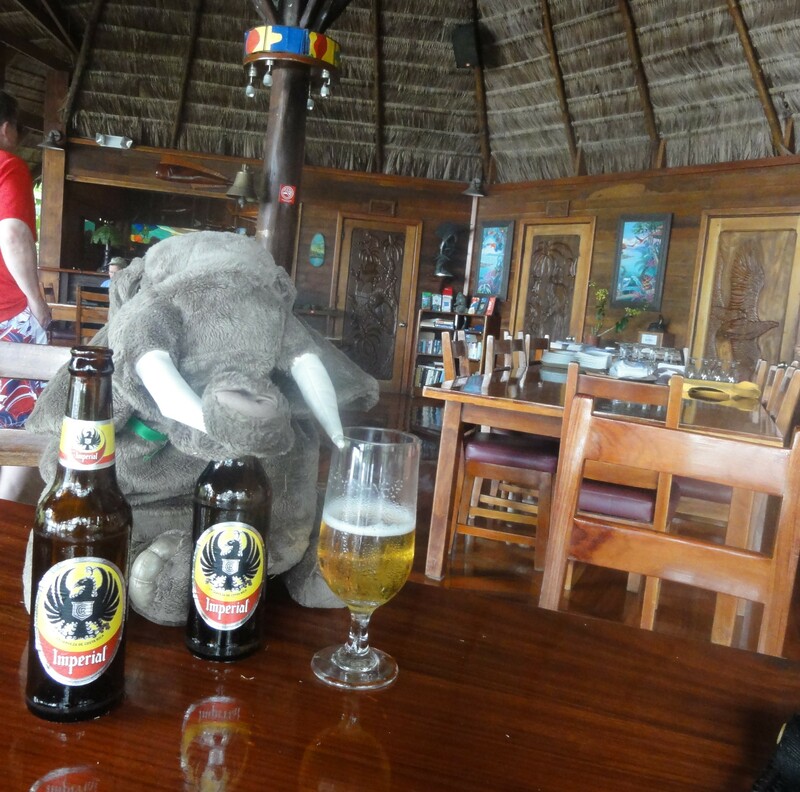 “Snorkeling was much better that I expected. I never snorkeled before in the open water of the Pacific and did not expect to see so many colorful fish in such clear water. I expected that the wave action would be kicking up too much sand to have a quality snorkeling experience, but Carin and Ridlon knew exactly where to take us for a really great experience. Trypp’s comments were equally favorable about the SCUBA program. 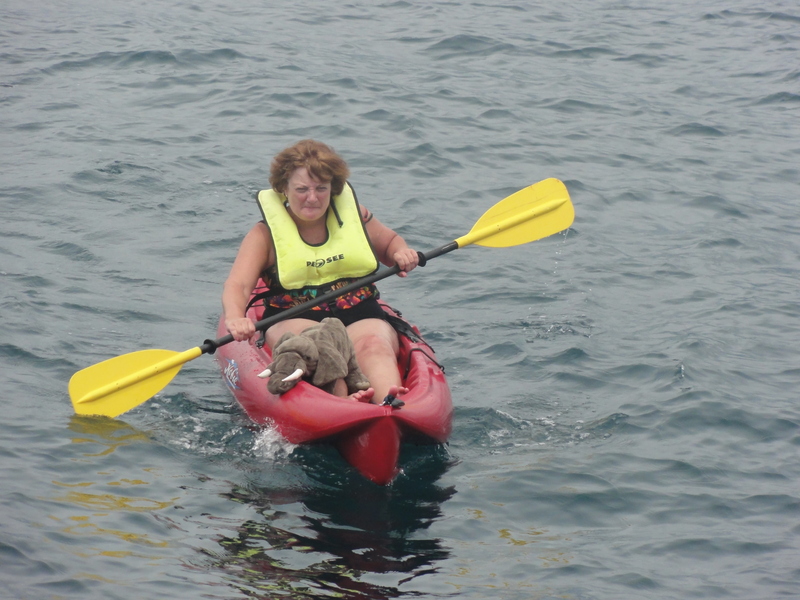 Snorkeling equipment and excursions are offered at no additional cost, as are all activities off the watersports platform (kayaking, windsurfing, waterskiing, sailing). The dives were additional, but “quite reasonable compared to other cruise or resort SCUBA programs,” according to Trypp.